Welcome to Calabasas Academy of Dance! Our instructors and staff are dedicated to not only teaching dance, but also to help with the development of each student's mental and physical growth, coordination, poise, grace and personality. For those reasons, please be advised that the directors and instructors may suggest moving your child to a different class and/or level depending upon his/her skill, physical ability, and social development. We encourage our parents to take an active part in helping your child maintain an enthusiastic attitude and appreciation of dancing. We trust that your dance experience with us will be a meaningful one. We commit ourselves to ensure each student's safety, progress and positive experience. 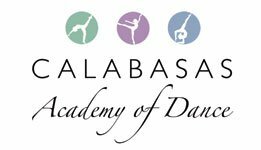 Already Registered with Calabasas Academy of Dance? New to Calabasas Academy of Dance? If you have taken classes before with Calabasas Academy of Dance and you have given us your e-mail address, try the forgot your password link. If not, please contact the office to give us your e-mail address and to set your password.